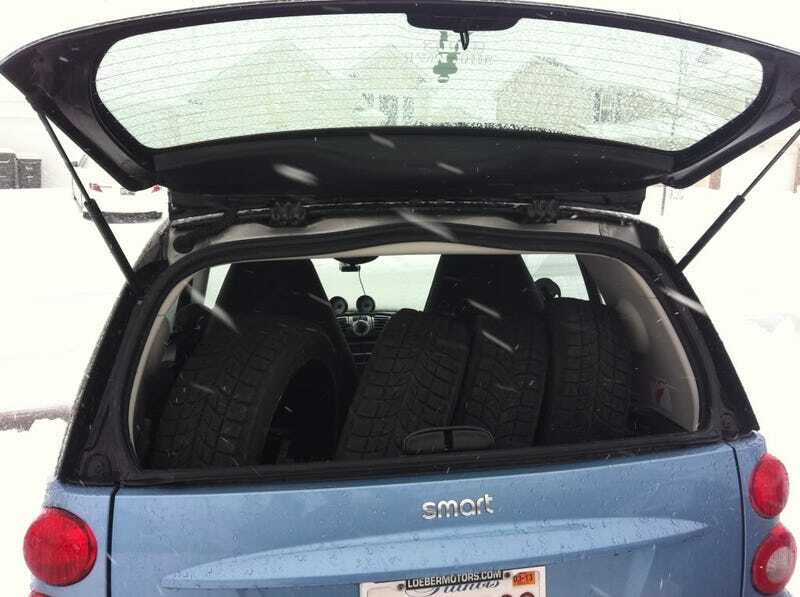 "I Need a Sportscar to Carry Stuff"
Who said you couldn't fit anything in a smart? You can fit four tyres without even folding down the other seat! Or big boxes of heavy goods.